We’re excited to announce a weekly Domo webinar series–making it easier than ever to hear from experts how they’re using Domo to change the way they manage their business. Register for this week’s webinar for an inside look at how the world’s first business management platform can help your company make faster, better-informed decisions. 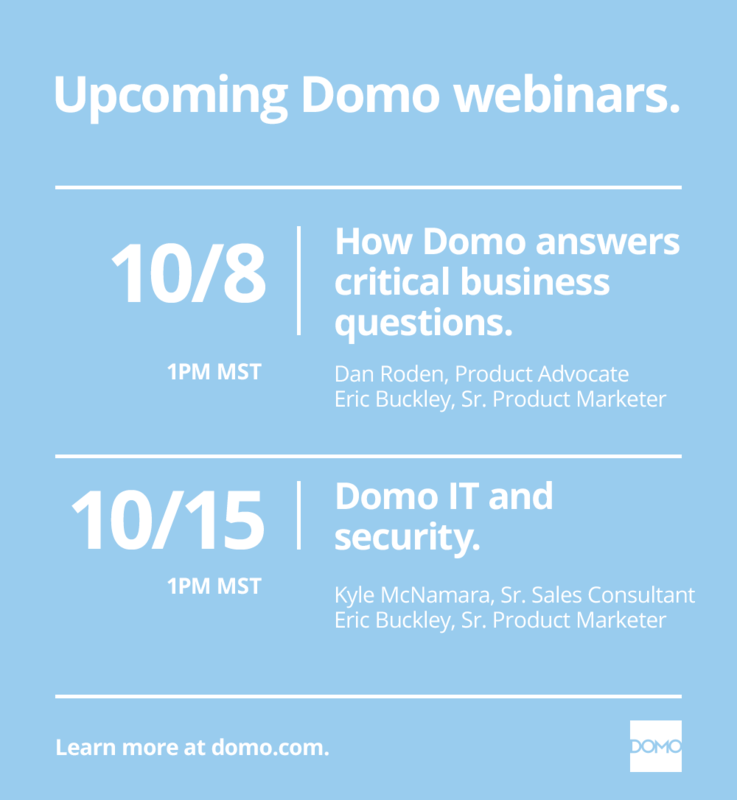 This week’s webinar: How Domo answers critical business questions. Dan Roden, Sr. Director of Product Advocacy, will walk us through the unique features and capabilities of Domo. Learn how Domo users answer business questions in real time. See organizations using Domo to improve processes and democratize data. Why she decreased spending on one social platform, even when it was driving the most opportunities. How a Fortune 500 brand uses Domo to optimize its content marketing. How you can create your very own data-driven executive dashboard. Like making it to the bank during business hours, we understand how hard it can be to attend a weekly webinar, which is why they’ll be recorded and made available here, following every live presentation.